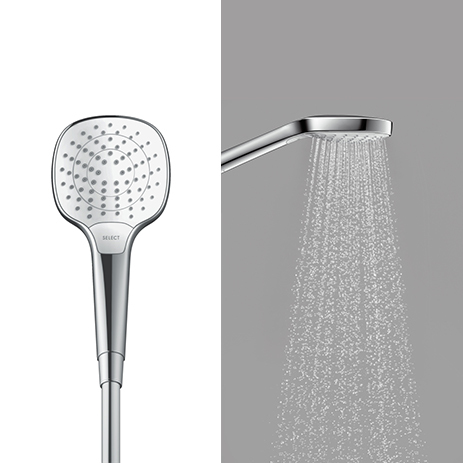 Switch to a different jet type intuitively: the Select button provides Croma showers with an extra level of convenience and user enjoyment. 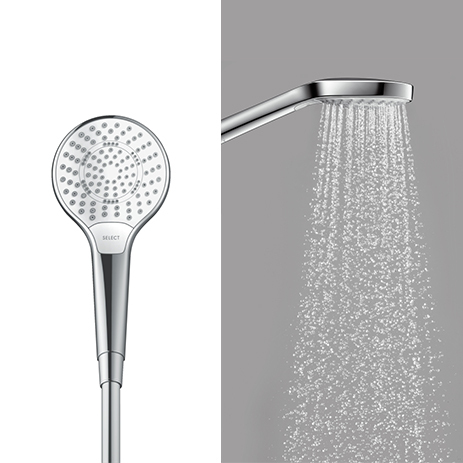 With this Croma Select range, you can offer each customer the unique showering experience that he is looking for. 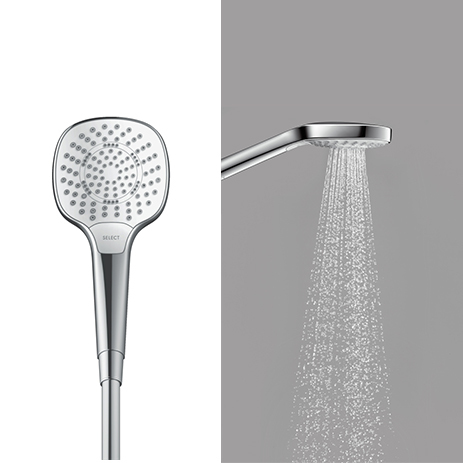 Croma Select Showerpipes pamper with up to five jet types (two on the overhead shower, three on the hand shower) – a totally new kind of showering sensation for many consumers. Water and temperature are controlled by the high-quality Ecostat Comfort thermostat. 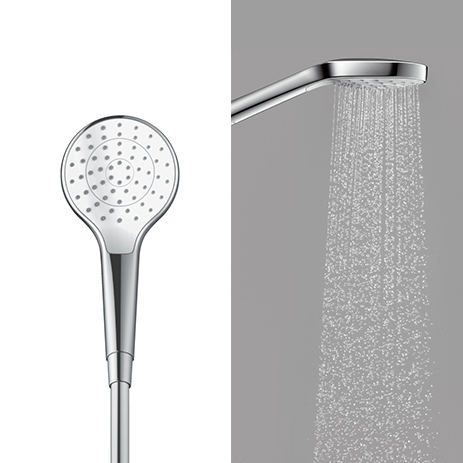 The swivelling shower arm offers more freedom of movement and more flexible installation. The white/chrome finish on the hand showers sets visual accents. This attractive interplay of colours offers plenty of options for combination with modern ceramics and mixers. Common to all is the ergonomic handle design, which makes it possible for one-handed jet adjustment. 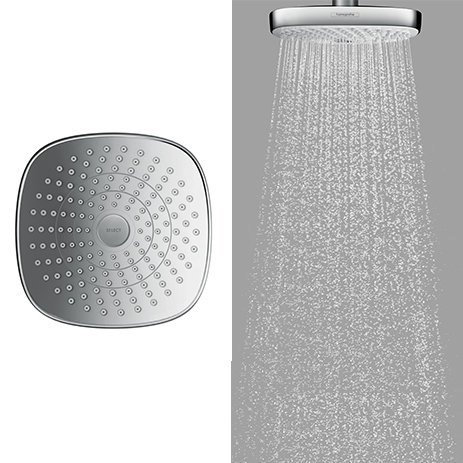 The large spray disc on the overhead showers demonstrates a precise design concept with clean lines – and offers XXL Performance, representing excellent value for money. The Croma Select Ø 180 mm comes in two surface finishes: fully chrome-plated or shimmering chrome with spray disc. 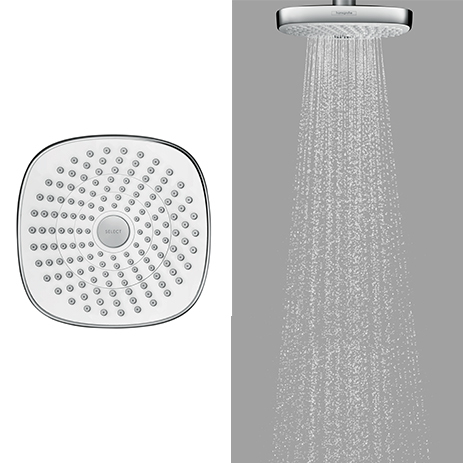 The round spray disc of the Croma Ø 280 mm is made of fully chrome-plated, high-quality metal. 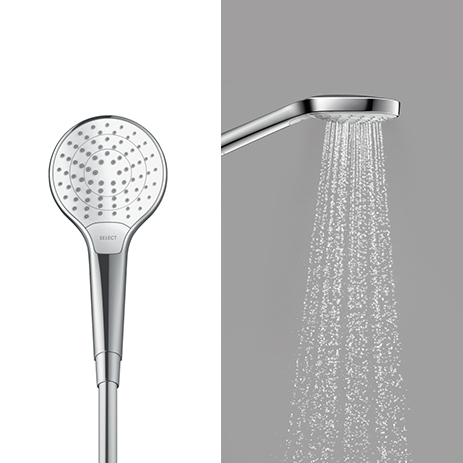 The Croma Select pleasurable shower experience in the EcoSmart variant is particularly sustainable: a minimised water flow enables your customers to conserve valuable resources. 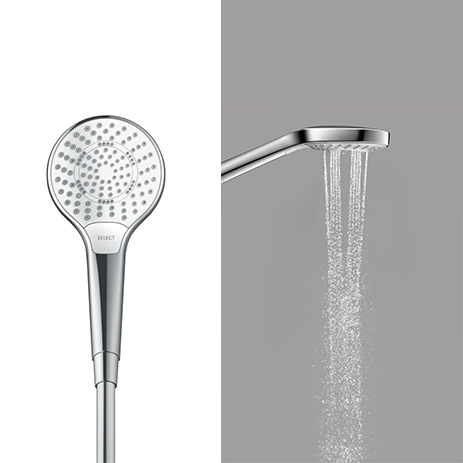 The Croma Select 1jet hand shower consumes only 7 l/min as standard. The hand and overhead showers are also easy to clean: with QuickClean silicon naps, residues are rubbed off in an instant. The large spray disc on the Croma 280 is easy to remove with an allen key and quick to clean. 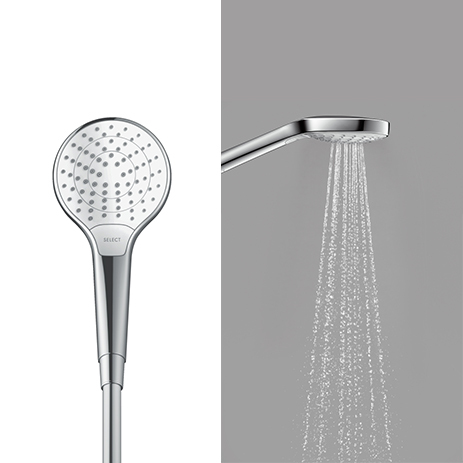 All new Croma Select showers can be installed in next to no time - ideal for quick bathroom embellishments. 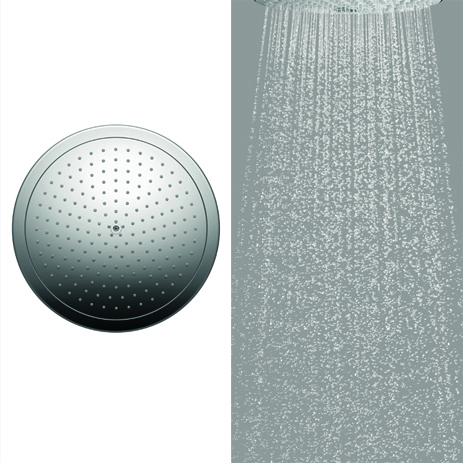 The Showerpipe is also impressive with its straightforward exposed installation. Easy to install on existing water connections.